Special counsel Robert Mueller’s nearly two-year-long investigation into Russian interference in the 2016 presidential election, and possible collusion between President Donald Trump’s campaign team and Moscow officials, will soon come to an end, the acting attorney general said Monday afternoon. Acting Attorney General Matt Whitaker, who also announced fraud charges against Chinese telecommunication giant Huawei, stated that the Russian interference investigation has almost finished up. "The investigation is, I think, close to being completed, and I hope that we can get the report from director Mueller as soon we — as possible," he said. "I have been fully briefed on the investigation, and I look forward to director Mueller delivering the report, and I really am not going to talk about an open and ongoing investigation otherwise." The comments mark the first time a Justice Department official has confirmed Mueller’s probe is close to being completed and comes after a new bipartisan legislation was filed earlier on Monday that, if passed, would compel Mueller to disclose a summary of his findings to Congress and the public. "I am comfortable that the decisions that were made are going to be um reviewed, you know, through the various means we have," Whitaker said of the investigation. Citing government officials close to the case, last month NBC News reported that Mueller was expected to complete a confidential report for the attorney general about the investigation as early as middle of next month. “They are clearly tying up loose ends,” an attorney who has been in contact with Mueller’s team said. Following former Attorney General Jeff Sessions’ resignation, Whitaker was named acting Attorney General on November 7. 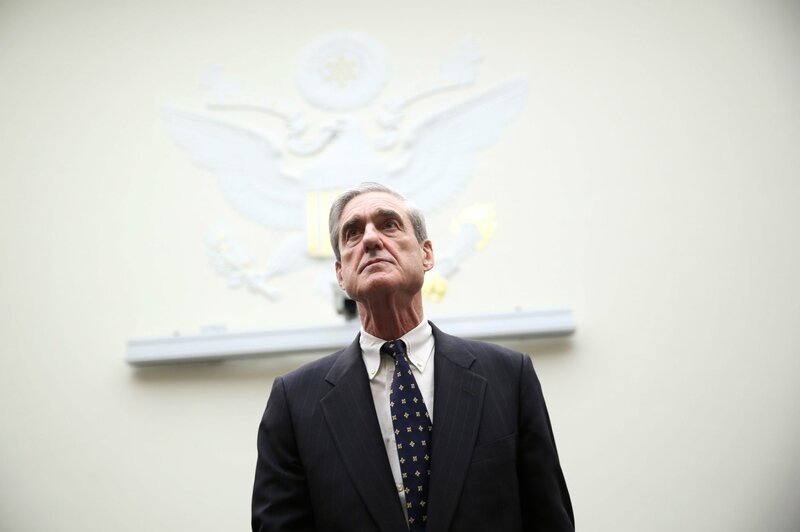 Mueller’s investigation has consistently delivered results since it was launched when the special counsel was appointed in May 2017. The grand jury has indicted 12 Russian military intelligence officers, 13 Russians and three corporations that were accused of manipulating U.S. voters using social media tactics as well as Trump’s former campaign chairman Paul Manafort and his deputy Rick Gates. Trump’s former attorney and personal fixer, Michael Cohen, his former national security adviser, Michael Flynn, and his former campaign adviser, George Papadopoulos, have also pleaded guilty to charges related to the probe from Mueller’s office.